Hate and Bigotry on the Internet: K-12 TLC Guide. Advertising & Marketing: K-12 TLC Guide. Political Advertising: K-12 TLC Guide. FAIR: Fairness & Accuracy In Reporting. The Internet As A God And Propaganda Tool For Cults, CNN. Three Centuries of American Broadsides. Economy's Role in Low U.S. Birth Rates. Ads That Appear in the Oddest Places (audio: 2:45). Ben & Jerry's Takes 'All Natural' Claims Off Ice Cream Labels. CBS Urged to Drop Tebows' Super Bowl Ad. In Florida, Billboards Trump Trees. The Internet as an Information Weapon. Kellogg Slapped for Exaggerated Health Claims. Marketing Baby Carrots to Students. Marketing v. Political Pandering (audio: 6:30). Nudging Grocery Shoppers Toward Healthy Food. Olympic Anti-Tobacco Ad Campaign (audio: 5:00). 'Pepsi Challenge' and the Birth of Niche Marketing. 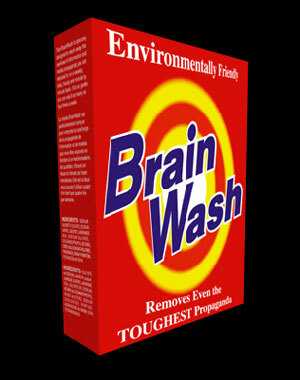 Products R Us: Are We 'Brandwashed'?. Selling Sickness: How Drug Ads Changed Health Care. A Tour of Musician-Endorsed Products. 1830 (08/28): First Radio Commercial Airs: WEAF, NYC. K-12 TLC Guide to Children & the Media. Executives Claim Innocence (audio: 3:35). Federal Trade Commission Report (audio: 4:00). Film Moguls Testify on Capitol Hill (audio: 7:21). Marketing to Kids (audio: 3:00). Media, Violence & Politics (audio: 4:00). Parents, Not Ratings, Are the Answer (audio: 3:00). Studios Limit R-Rated Marketing (audio: 4:00). Teen Violence & Teen Births Decline (audio: 3:00). Joyce, William: K-12 TLC Guide. Rosenberg, Alfred: K-12 TLC Guide. 11/16/1941: Joseph Goebbels Blames Jews for World War II, History Channel. 'Jud Suess' Causes Controversy Second Time Around. German Propaganda Archive, Calvin College. Propaganda War in the Middle East: 10/17/00 (4:00). The Poster War: Allied Propaganda Art of World War I, The Provincial Museum of Alberta. Psychological Operations in Guerilla Warfare. Recruiting Posters for Women from World War II, U.S. Navy Historical Center. Voice of America: K-12 TLC Guide. The Age of Persuasion: How Marketing Ate Our Culture by Terry O'Reilly and Mike Tennant. 09/13/1814: Symbols of the United States. World War II Poster Art.